(Li‘hue, Kaua‘i) – The second scheduled aerial application of a rodenticide to eliminate invasive rats from the State Seabird Sanctuary on Lehua Island was successfully completed today. As with the first helicopter application on August 23rd, this second application began at first light and was complete in about three hours. Other project supporters include the Ni’hau Ranch, the Robinson family, the native Hawaiian community, local residents, US Coast Guard, Kaua‘i Endangered Seabird Recovery Project, National Tropical Botanical Garden, Pacific Rim Conservation, National Fish and Wildlife Foundation, Bell Laboratories, The David and Lucile Packard Foundation, Atherton Family Foundation, and Moore Family Foundation. 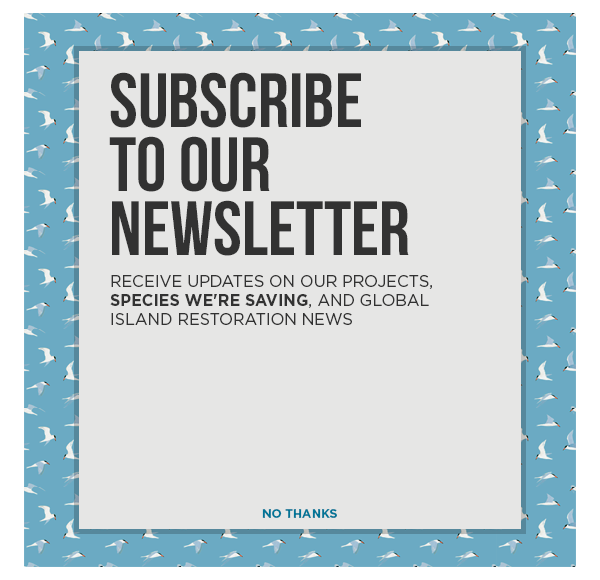 The partners and supporters especially acknowledge the contribution of the Robinson Family and the people of Niihau in helping to evaluate this restoration opportunity.